Attorney Michael Hupy Named to National Trial Lawyers | Hupy and Abraham, S.C.
Hupy and Abraham firm president Attorney Michael Hupy has renewed his membership to the National Trial Lawyers: Top 100 Civil Plaintiff list. The National Trial Lawyers: Top 100 is an invitation-only organization comprised of a premier group of trial lawyers from each state who meet specific qualifications. Selection is based on a multiphase process that includes peer nominations and third-party research. Attorney Hupy has demonstrated knowledge, skill, experience and success as a lawyer – all traits held by the best and finest lawyers in the United States. Earlier this year, Attorney Hupy was named an AV Preeminent Attorney: Judicial Edition, the gold standard of lawyer rankings, and the highest possible rating in legal ability and ethical standards. He was also honored with his wife, Suzanne, as the 2017 Parents of the Year by a Milwaukee nonprofit, COA Youth and Family Centers. 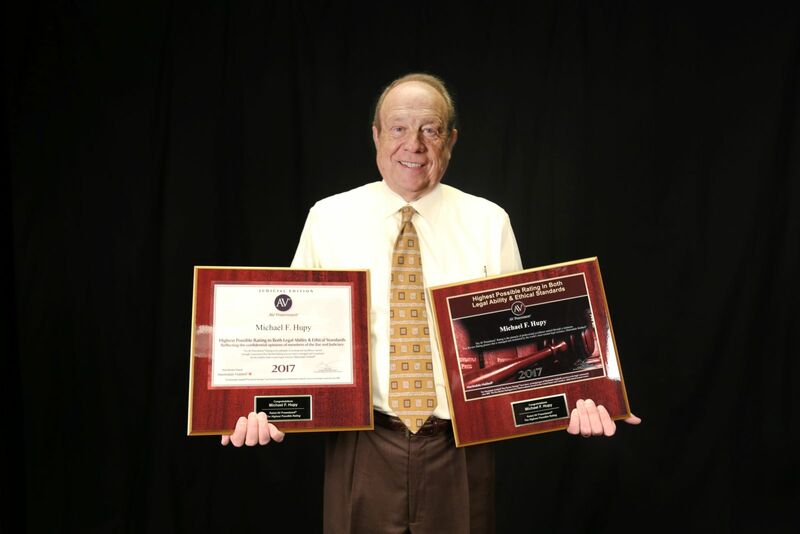 Attorney Hupy is dedicated to both the legal profession and the community, standards he has upheld for decades.